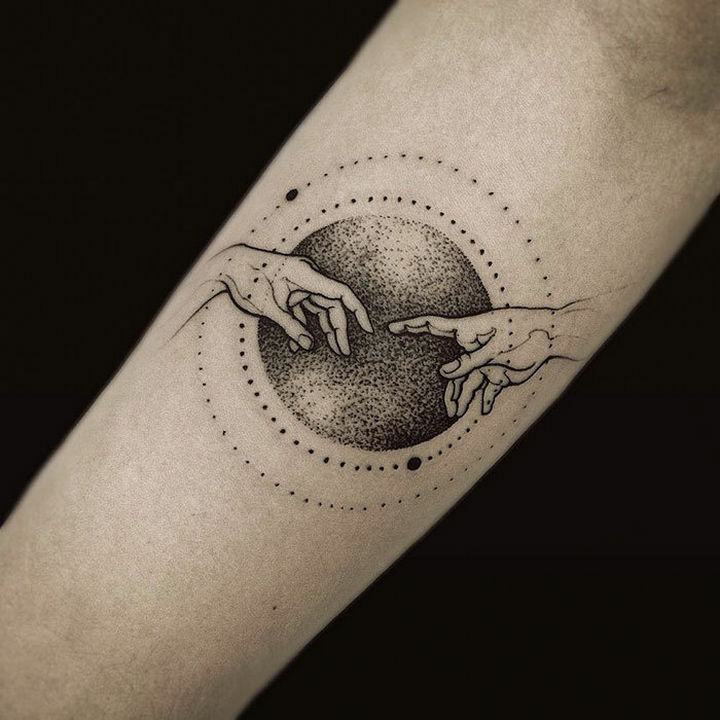 The amount of creativity in tattoos is awe-inspiring. There are tattoos for nearly everybody, even sister tattoos to make a sisterly bond even stronger. 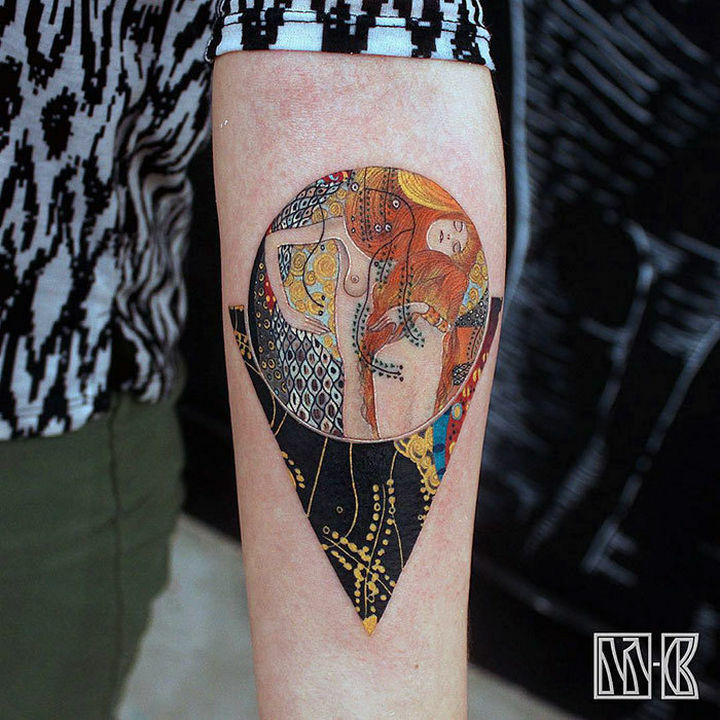 Tattoos are about expressing yourself and if you love art and appreciate it, art tattoos inspired by famous works of art is a match made in heaven. 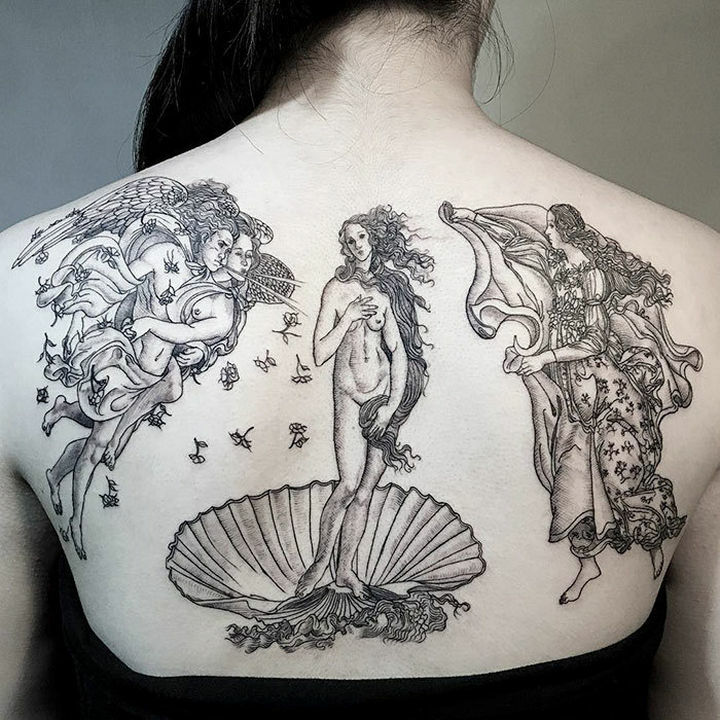 Even if you already have a tattoo design in mind, you’ll be inspired by how classic art can transform it. 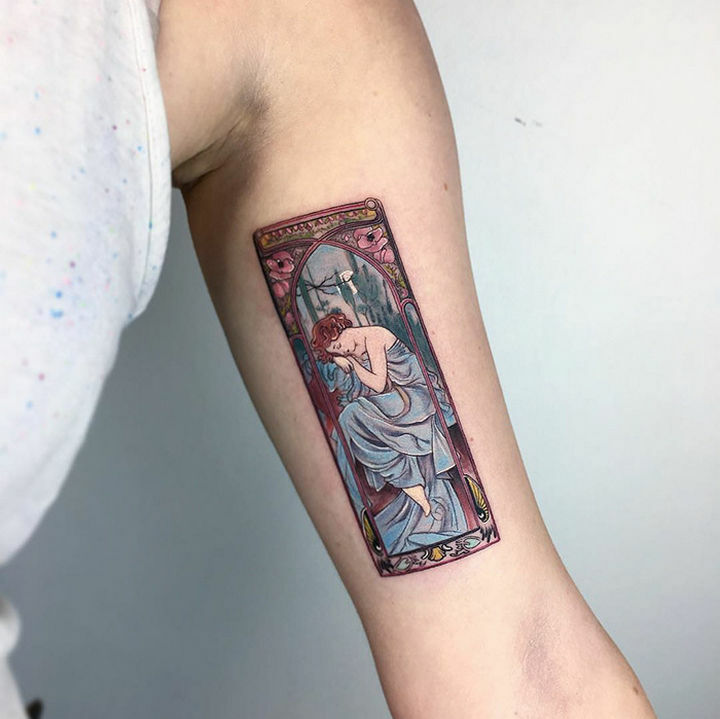 The following 22 people found ways to incorporate their favorite paintings into classical art tattoos they can call their own. 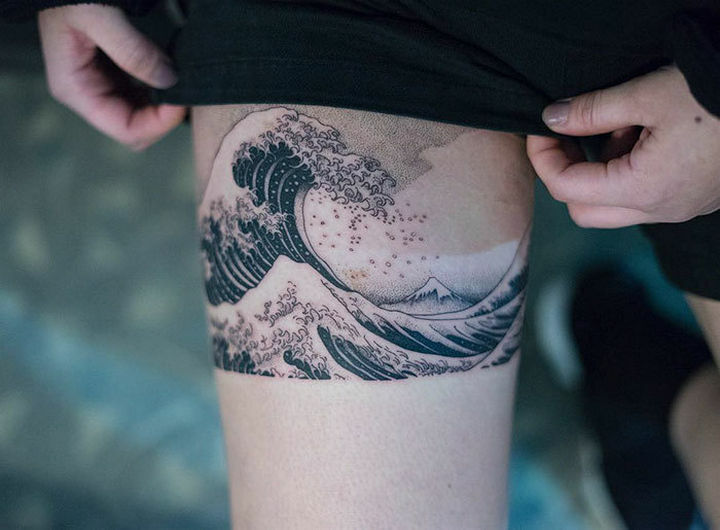 The Great Wave off Kanagawa tattoo that is as colorful as the original. 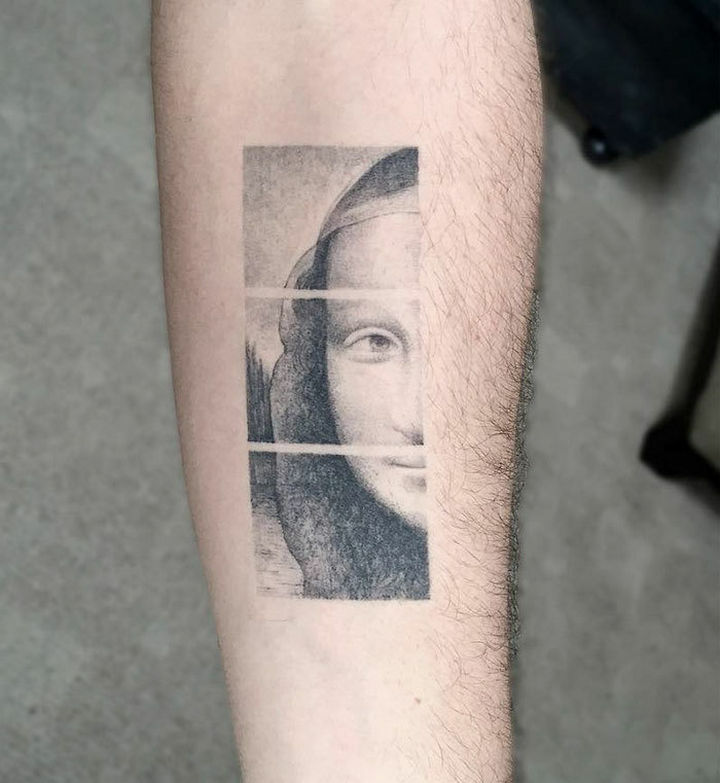 A Mona Lisa tattoo doesn’t need to look exactly like the painting to look terrific. This modern take on the original looks great. This is one of my favorites and the black and grey tones brings a whole new dimension to these infamous paintings. A modern take on this Water Serpents tattoo makes the colors dance with the added contrast of a dark triangle. 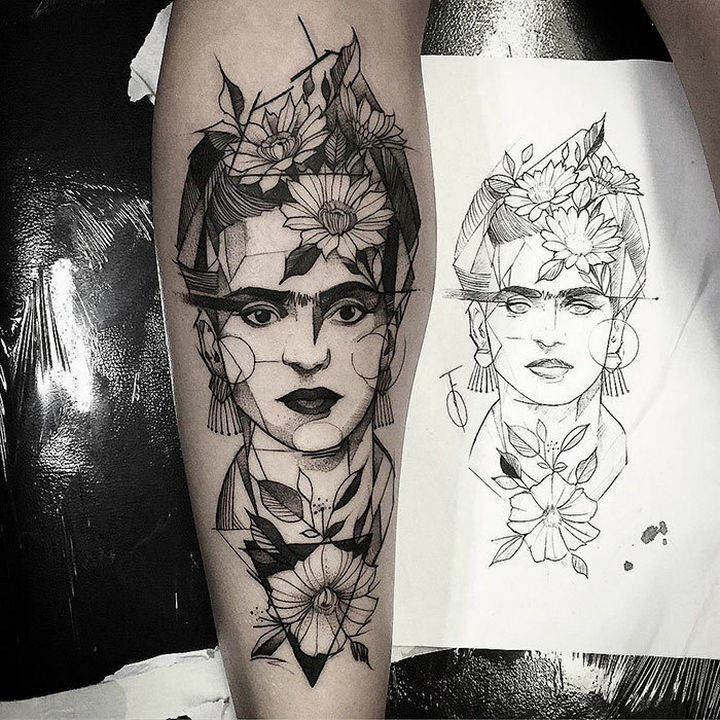 A fabulous black and grey Frida Kahlo tattoo that is full of interesting geometric shapes. Everything about this Birth of Venus is impressive and the shading is unbelievable. 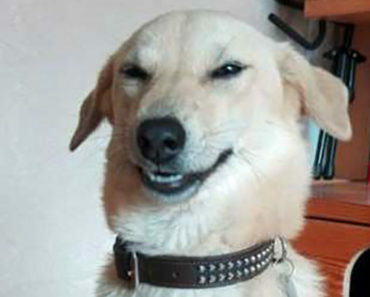 I don’t know what to say. 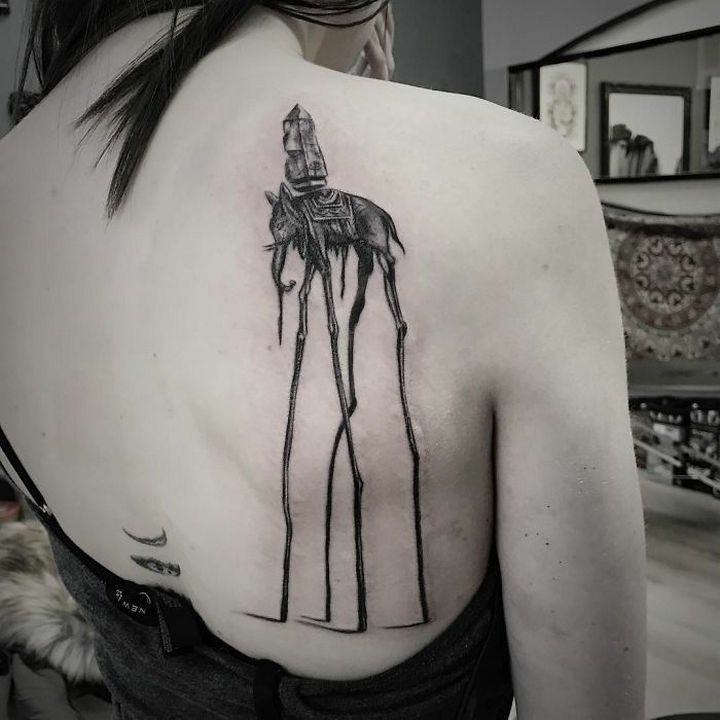 These Guernica tattoos are simply breathtaking. The amount of detail in this Elephants tattoo is impressive and the black and grey ink brings a certain elegance. 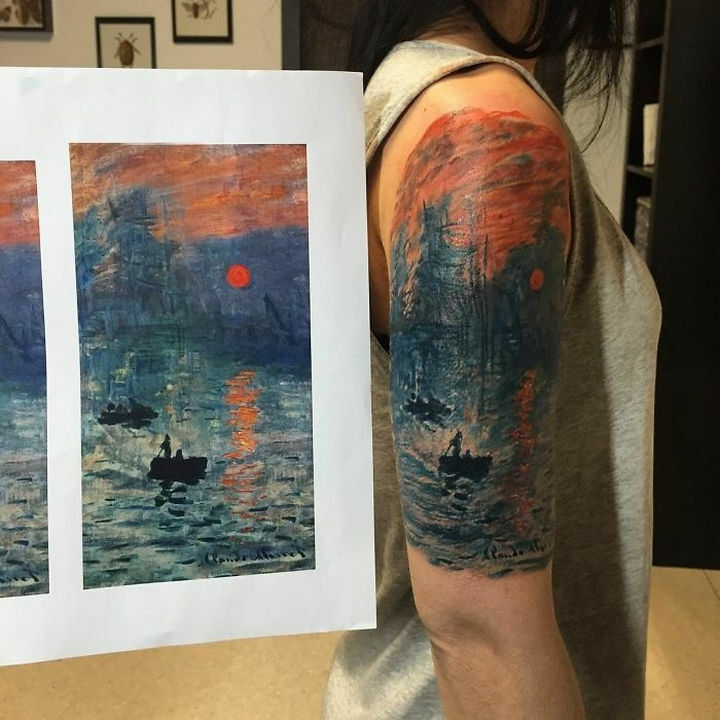 This “Impression, Sunset” tattoo is so impressive it actually looks like an oil painting instead of a tattoo. Simply amazing! An awesome Creation of Adam tattoo that proves this painting can be just as impressive without color. A Water Serpents tattoo that requires the full back to truly give it justice. 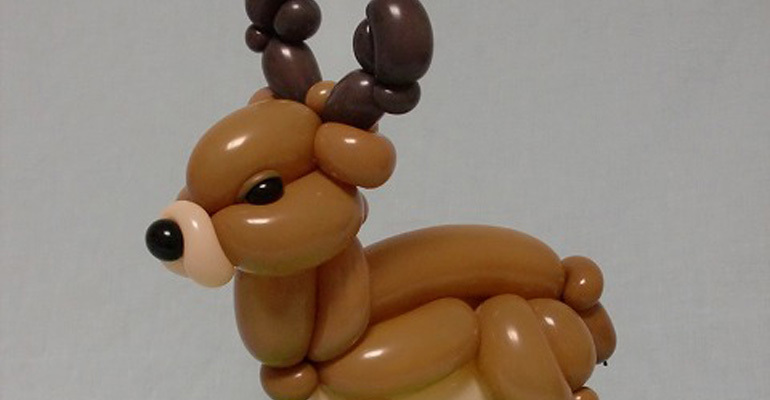 The colors are jaw-dropping and I can’t imagine how long it must have taken to create this masterpiece. 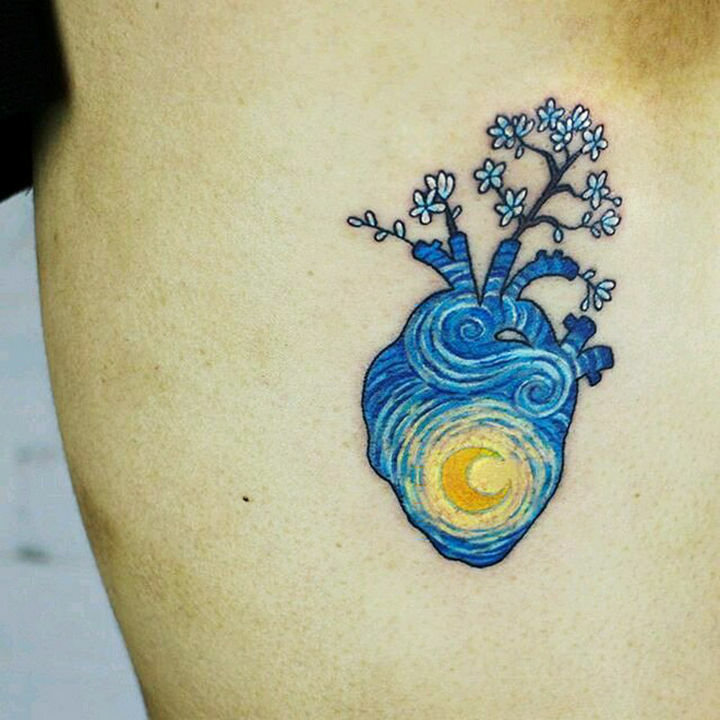 A creative tattoo with flowers blooming out of a heart and features elements of The Starry Night. Another great example of geometric shapes blended with a classic in this Creation of Adam tattoo. 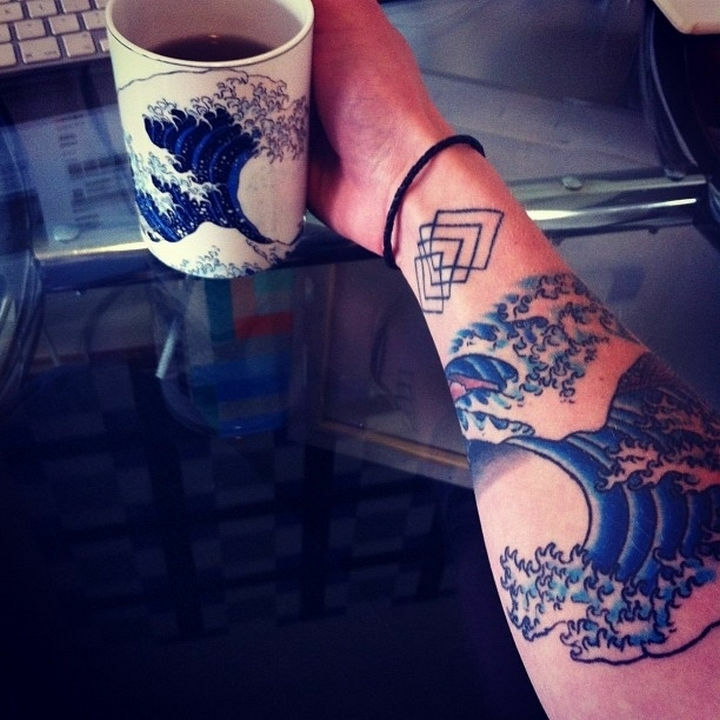 Another great The Great Wave off Kanagawa tattoo that showcases amazing detail and tone. 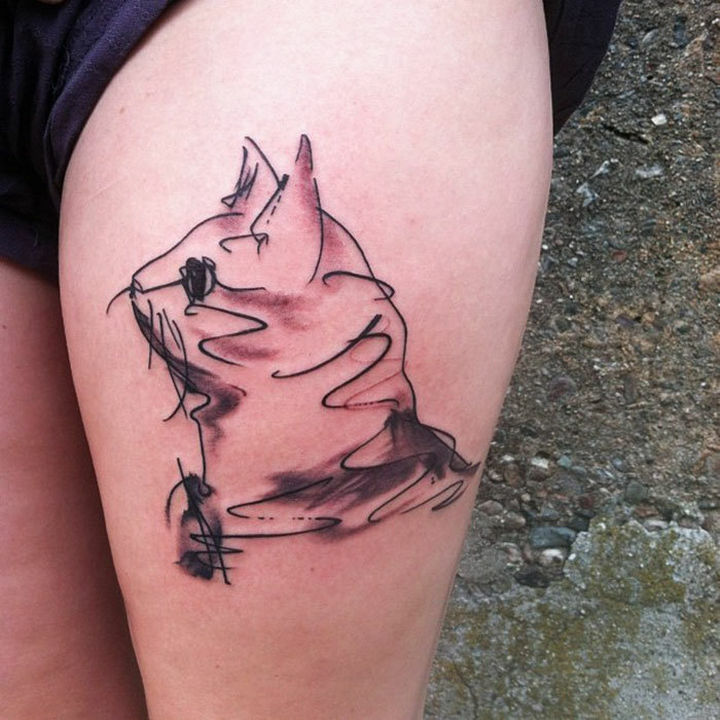 This Le Chat tattoo is a beautiful replica of the original painting and a great choice for cat AND art lover’s. 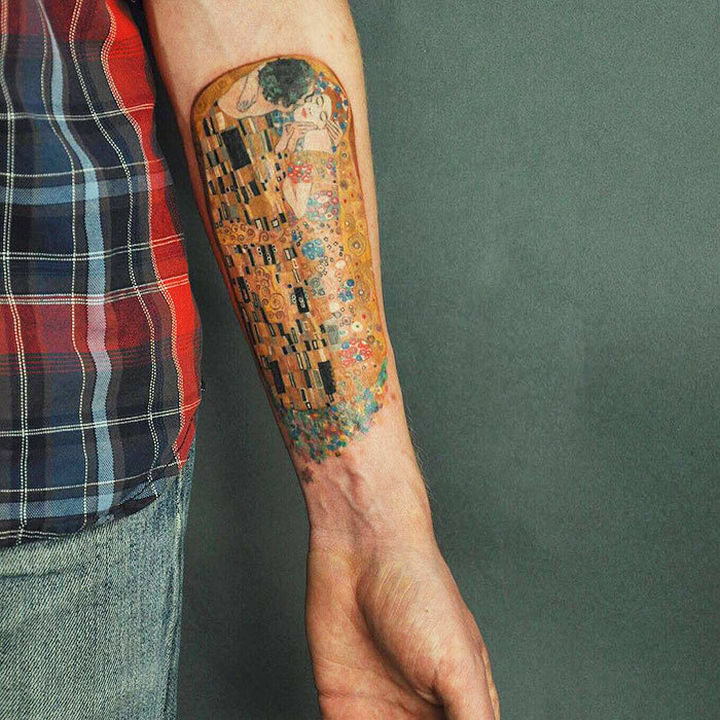 The Kiss tattoo featuring an impressive amount of detail and impressive use of colors. 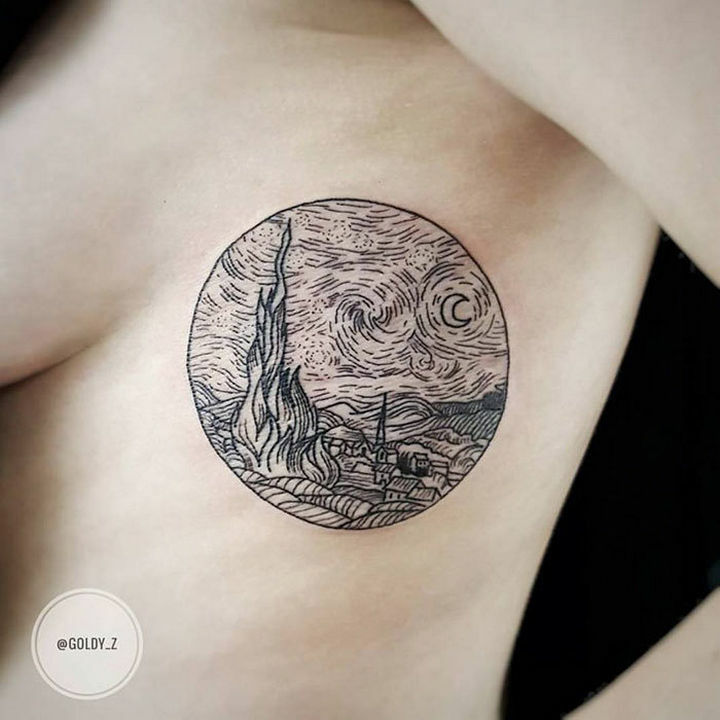 A Starry Night tattoo that foregoes color and looks just as magnificent as the painting. 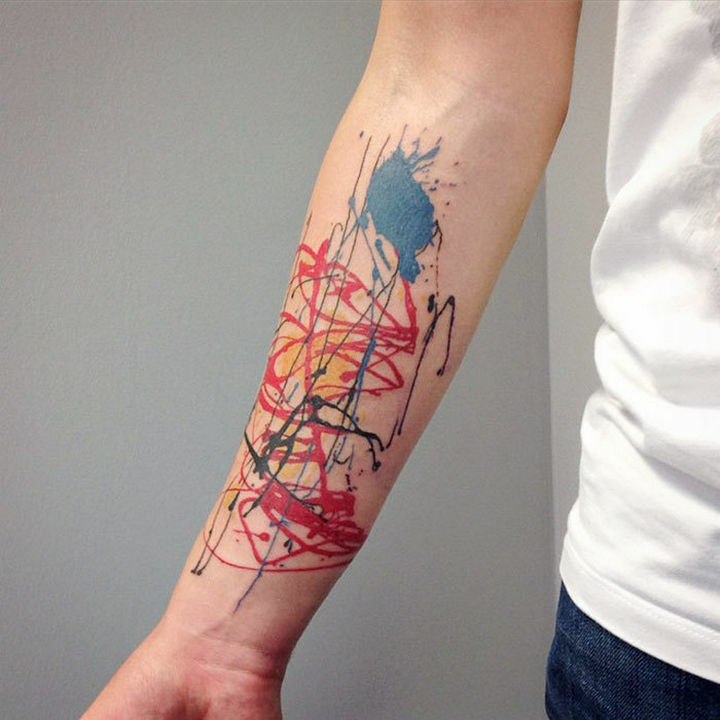 Artist Jackson Pollock was recognized for his unique style of drip painting and this tattoo is the perfect tribute. 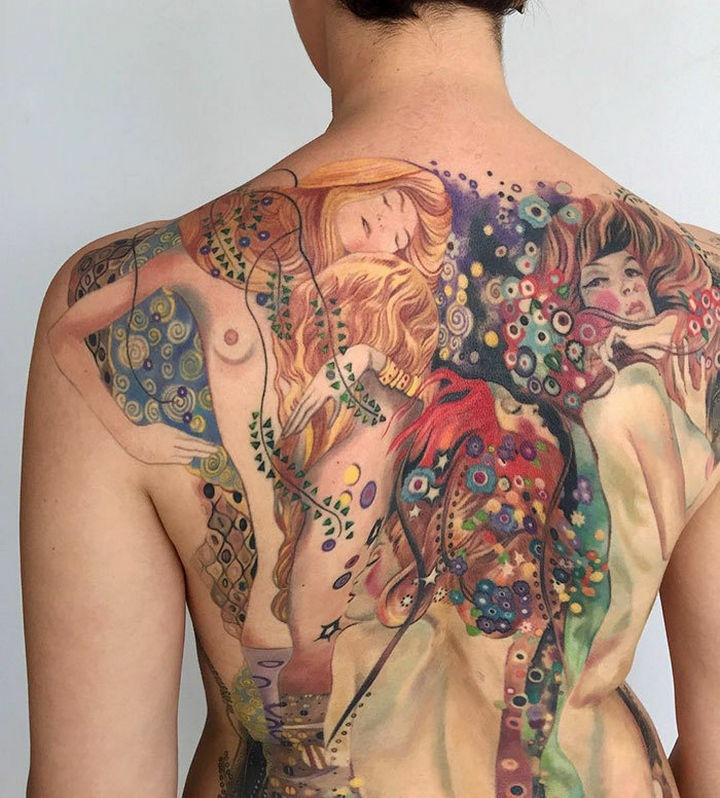 The human body is the perfect canvas for this stunning recreation of “Primrose” and this tattoo is beyond beautiful. 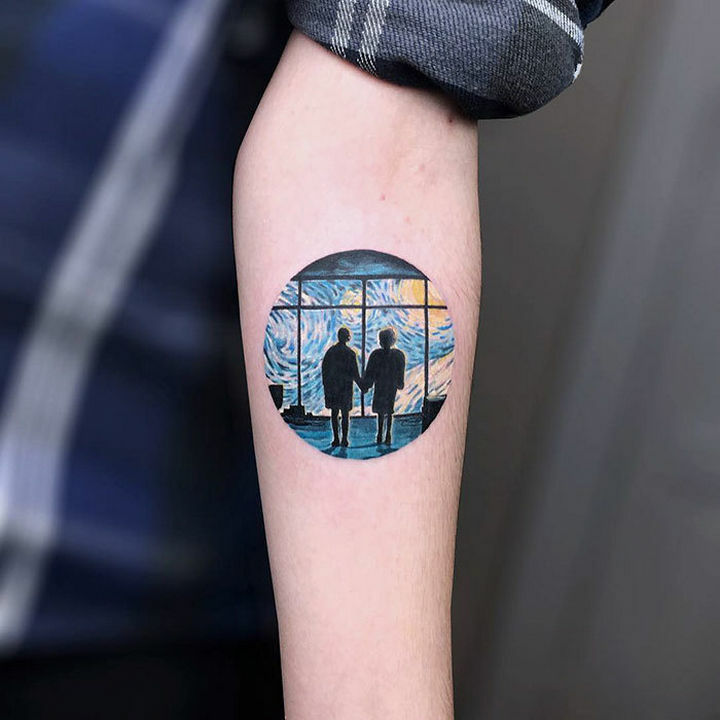 A beautiful replica of the original in this Times of the Day tattoo. 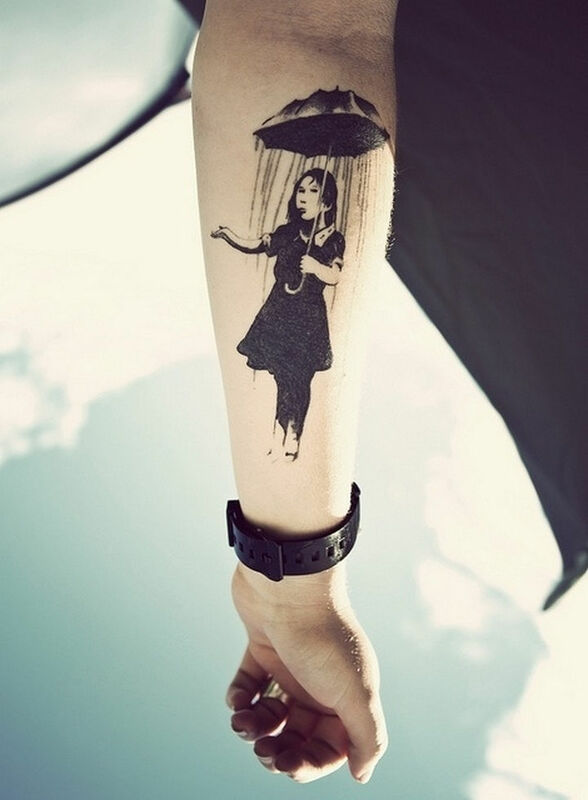 An awesome recreation of Banksy’s work on this Nola Girl with Umbrella tattoo. The amount of work and detail in these impressive art tattoos required an equally impressive tattoo artist. 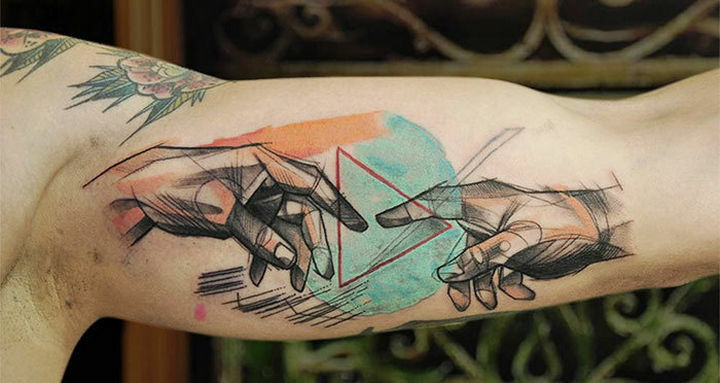 Please share these classic art tattoos with your friends and family.